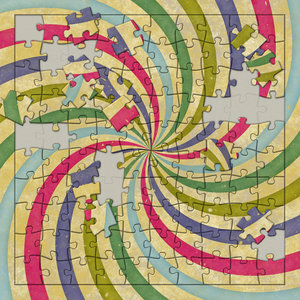 A grunge swirl jigsaw puzzle with several pieces out of place. Could illustrate unfinished business or grappling with the pieces of a complex problem. Lovely - super retro colours! Wow, this is amazing, love the colors very much !